Healthy Meats: Better Than Regular Beef! Trying to add more protein into your diet? Lots of standard recipes call for plain, old grain-fed beef. While beef does pack a protein punch, it can also carry higher amounts of saturated fat and cholesterol compared to other meat choices. 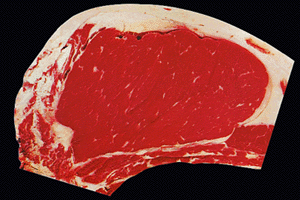 This article covers healthy meats and how they stack up against beef. 1. Salmon – Salmon is very high in protein, but, unlike beef, is absolutely loaded with Omega-3 fatty acids. Salmon can play a protective or preventative role against heart disease and cancer because of the high levels of Omega-3’s. Our bodies can’t make Omega-3 fatty acids. By eating foods high in them, we can increase their positive effect on our health. The University of Washington confirmed in a recent study that a diet including a small, but consistent amount of salmon can reduce the risk of cardiac arrest. This could be as little as one salmon meal per week! In addition to Omega 3’s, salmon is high in the antioxidant known as vitamin D which is critical for overall health. People low in vitamin D are at a higher risk of cancer, cardiovascular disease, multiple sclerosis and type-1 diabetes. Whenever possible, opt for wild caught salmon as fish farms usually feed soy and corn-based food to their stock which can lower Omega-3 levels. 2. Bison – Compared to grain-fed beef, grass-fed bison is a much better choice! Bison meat is low fat and cholesterol with as many Omega-3s per serving as salmon. Plus, that’s 3 to 6 times the amount of Omega-3s as grain fed beef. Bison is also high in Vitamin E, beta-carotene, selenium, and conjugated linolaic acid (CLA). CLA’s have been linked to lower risks for cancer, obesity, diabetes, and several immune disorders. 3. Venison – If you want some flavor, try adding venison into your diet. The game meat is packed with protein, but 1/3rd the amount of fat and 3-5x lower cholesterol levels. Venison is an excellent protein choice if you have diabetes. It’s high in Vitamin B6 which is very important for regulation of blood sugar in the body. B6 help with breaking down carbohydrates – essential for the sustained release of blood sugar. If you’re not a hunter, but still want to give venison a shot, there are several vendors online that can ship directly to you. 4. Grass-fed Beef – Perhaps you consider this one cheating since it is beef, but “grass-fed” really deserves its own category! There is simply no comparison between grain-fed and grass-fed beef. Higher in: total Omega-3’s, CLA, beta-carotene, vitamin E, thiamin, riboflavin, calcium, magnesium, and potassium. Lower in: total fat and the saturated fats that are common in heart disease. As you can tell, it’s not difficult to find healthy meats that can replace your grain-fed beef habit. Each of the 4 options listed are more nutrient-dense and better for overall health than traditional beef. At the same time, you’ll be getting an excellent source of protein, too!